The weather is getting warmer , and spring is here to stay. 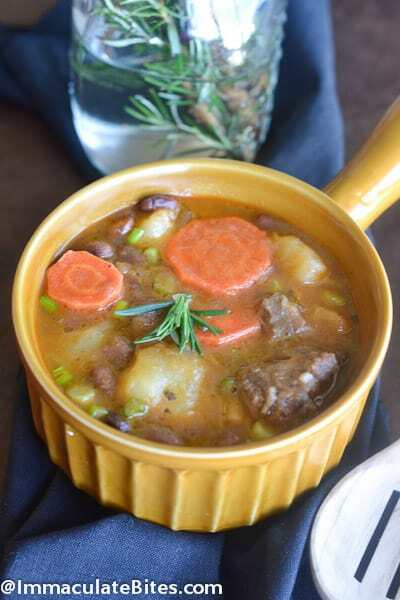 What a good time to make this oxtail potato bean stew – a one pot, hearty, thick, and flavor packed stew, before it gets really warm around the house. 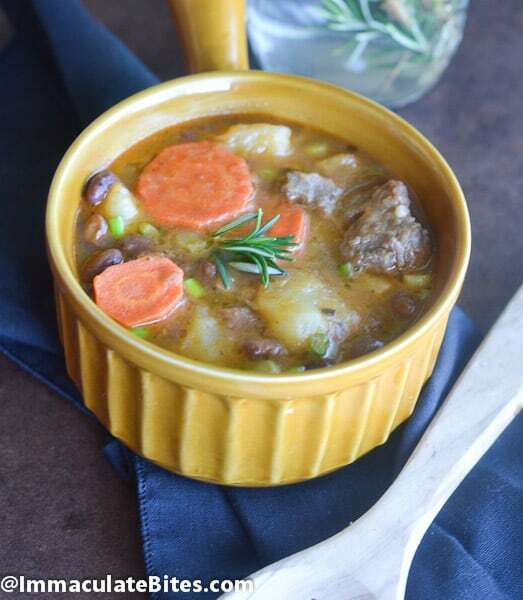 My aunty first made this hearty oxtail-bean potato stew years ago and I was instantly hooked. It did not include beans but the adventurer in me wanted more. I love beans! It is a low fat, high fiber protein source and it is also a very important part of my culture. 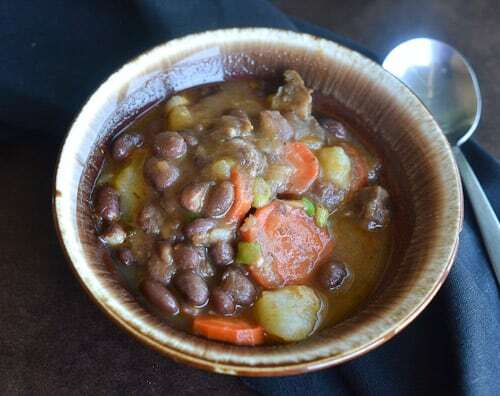 I like to incorporate beans into many of my recipes – the combination of beans and oxtail, potatoes is just fantastic! 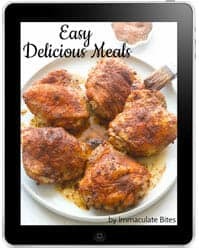 This recipe contains a luscious blend of garlic, chili and smoked paprika for an intense flavor, with leftover boiled beans that I had in the freezer.You can use a can of beans for this recipe. 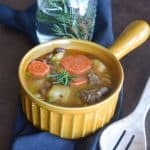 If you are health conscious, after boiling the oxtail, remove the thin layer of fatty oil that comes to the top of the oxtail stock. 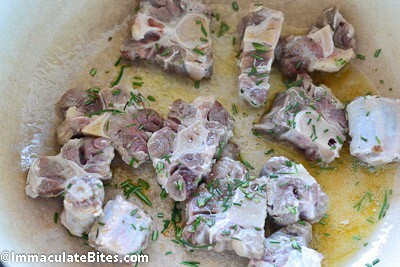 You can do this by using a spoon or better yet boil the oxtail a day in advance, refrigerate, and gently remove the layer of fat. 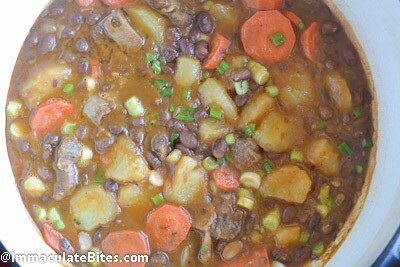 This stew can be made in advance, and refrigerate , before serving. 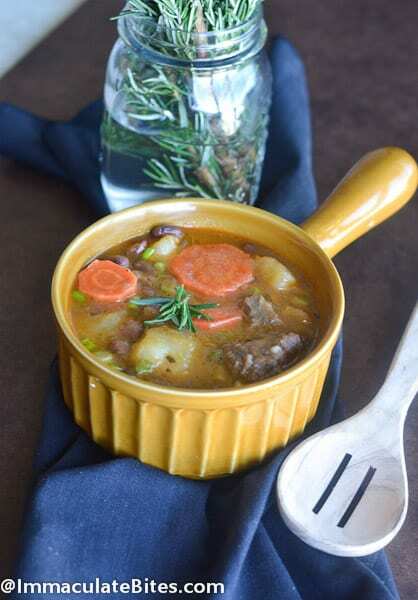 You may need to add a little more water before reheating the stew. 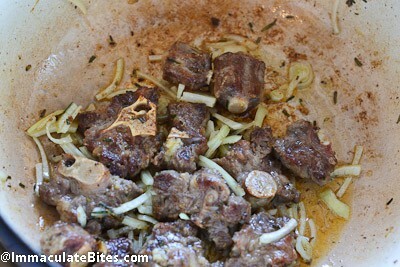 Add 2 tablespoon canola oil to the pot/pan and fry the oxtail for about 5 minutes. 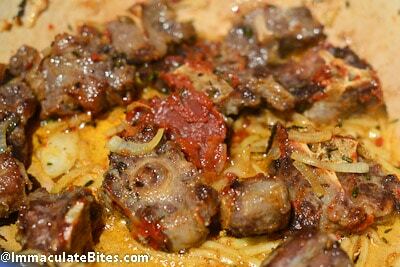 Then, add the minced garlic, rosemary, onions, tomato paste, smoked paprika and bouillon or omit. Stir for about 1- 2 minutes, be careful not to let the garlic burn. 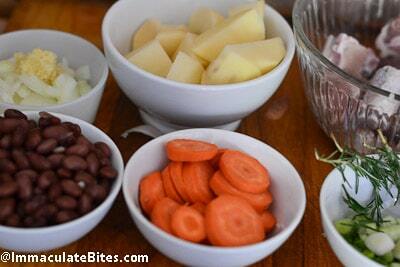 Bring to a boil then add beans, potatoes, carrots and green onions. 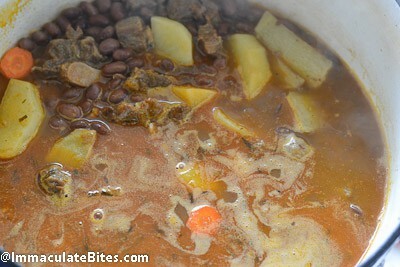 Cook on medium high for about 10 minutes until potatoes is tender Stir occasionally adding water as needed.